Moving on, today, Joel and I ate at *drum rolls* Stackers Burgers! And I think this will be my second favorite burger place, next to Wham, of course. And to you Zark’s fans, I’m sorry, it’s just not my taste. 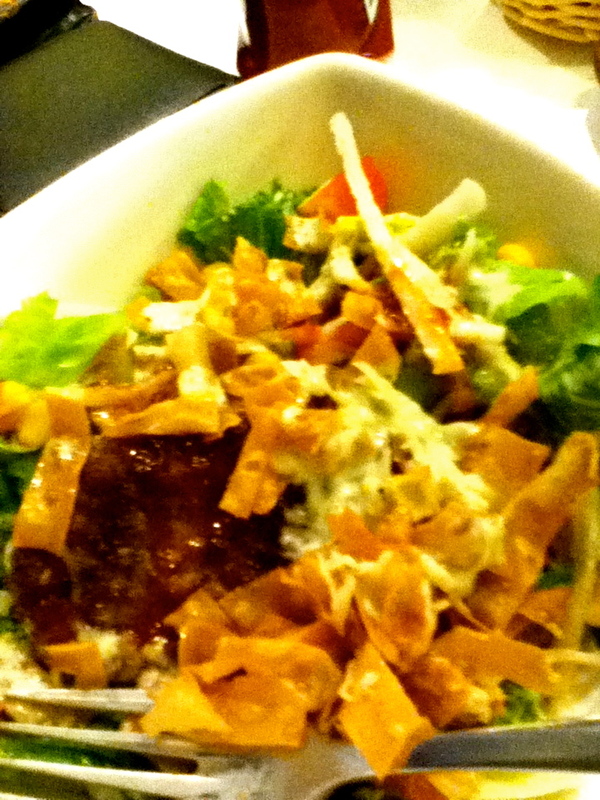 I ordered one of the most unhealthy “salads” you’d ever see, their Barbecue Burger Bowl. It’s a quarter pound of patty mixed with jicama, salad greens, cute little tiny tomatoes, corn, and some kind of dressing topped with bbq sauce. Pretentious never tasted this good. 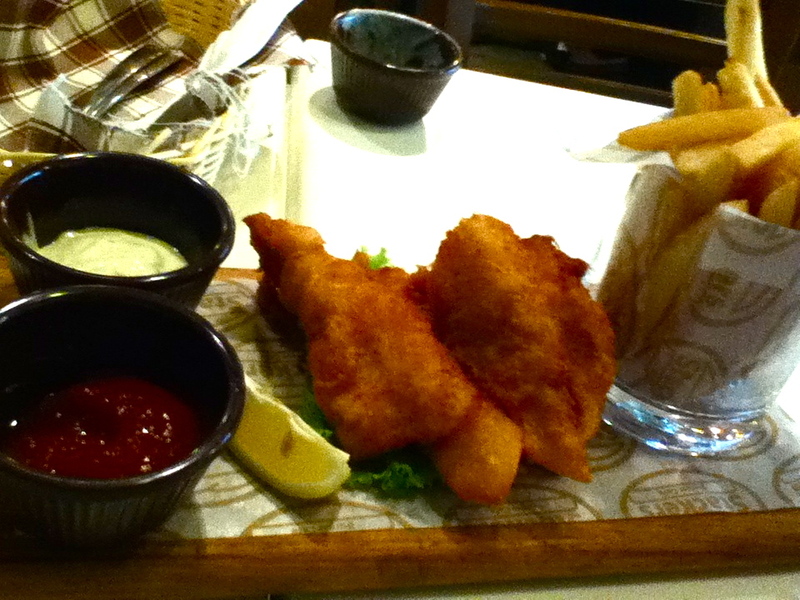 We also got a full order of fish and fries. Joel said that the fish didn’t suit the whole “American” ensemble but I loved it, so. Haha. 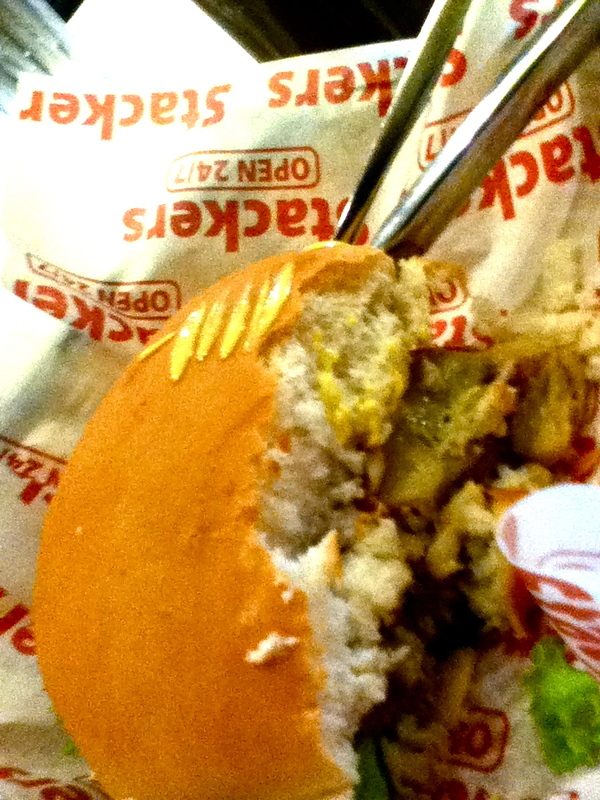 It’s such a bummer that we only tried Stackers Burger now. 😦 Well, will definitely go back soon!